Nepal Foreign Affairs (9 September 2018) – Former Prime Minister and Chairman of Communist Party of Nepal (CPN) Pushpa Kamal Dahal Prachanda called on Indian Prime Minister Narendra Modi on Saturday. The recent bilateral visits of the prime ministers from both the countries, the Fourth BIMSTEC Summit, issues of mutual interest and development potentials were discussed between the two leaders, Prachanda’s Secretariat said. Furthermore, matters related to hydropower development in Nepal, postal highway, development of railway, waterways, agriculture-based industries and development of tourism were discussed. 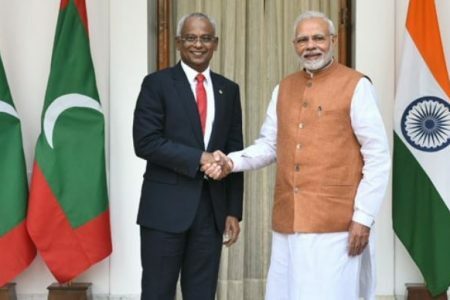 Likewise, the two leaders also discussed the ideas of forming a broader ‘circuit’ by incorporating the major religious sites of Nepal and India for promotion of religious tourism as well as the cooperation for exporting water of Mt Everest as the mineral water across the globe. 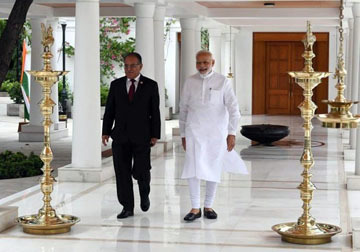 According to Prachanda’s secretariat, the two leaders also consulted about resolution of border disputes emerging between Nepal and India in different times and the upgradation of customs points along the Nepal-India borders. 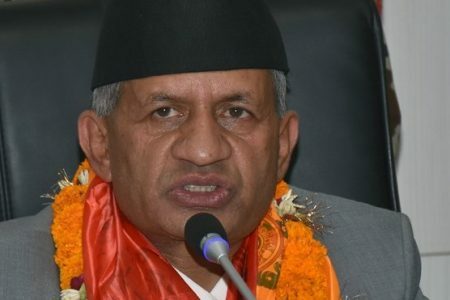 Similarly, serious consultations were held for effectively implementing the positive understandings and agreements signed between the two countries during Modi’s visit to Nepal and Nepal’s Prime Minister KP Sharma Oli’s visit to India in the recent times. On the occasion, Prachanda and Modi talked to materialize the commitments made by India during Prachanda’s visit to Nepal during his premiership. During Prachanda’s visit to India in the capacity of the Prime Minister, India had committed to establishing a Polytechnic Institute in Kaski district. During the meeting that lasted nearly for an hour, the two leaders have also committed to taking Nepal-India relations to a new height.